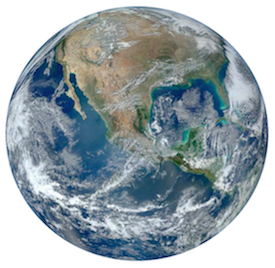 The Department of Atmospheric and Oceanic Sciences (ATOC) at the University of Colorado Boulder provides a world-class, interdisciplinary research and educational environment to examine the dynamical, physical, and chemical processes that occur in the atmosphere and ocean. Graduate students, research staff, and faculty work together on a wide range of research topics. To the right are links to more information regarding the department's primary research themes: Atmospheric & Oceanic Dynamics, Atmospheric Chemistry & Physics, Chemical & Physical Oceanography, Clouds & Aerosols, Planetary Atmospheres, Radiative Transfer & Remote Sensing, and Regional, Boundary Layer & Wind Energy Meteorology. ATOC has extensive computing facilities and laboratories in remote sensing, chemistry, hydrodynamics, and numerical modeling. Interdisciplinary research opportunities also exist with the Cooperative Institute for Research in the Environmental Sciences (CIRES), the Institute for Arctic and Alpine Research (INSTAAR), and the Laboratory for Atmospheric and Space Physics (LASP). The presence of leading laboratories in the environmental sciences in Boulder, including the National Center for Atmospheric Research (NCAR) and the NOAA Earth System Research Laboratory (ESRL), provides additional opportunities for a rich educational experience.